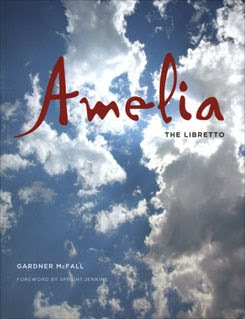 The Amelia libretto is available exclusively at McCaw Hall’s gift shop, Amusements, during the run of La Traviata. The $14-book provides an early glimpse at the lyrics and stage directions of this new American opera, and includes a Foreword by Speight Jenkins and an Afterword by librettist Gardner McFall. Amelia, the story of a young woman’s struggle dealing with her past and embracing her future, features music by Daron Aric Hagen and a story by director Stephen Wadsworth. Learn more about this world premiere production.